This volume provides a theoretical and practical discussion of mixed methods research and its application in language assessment. 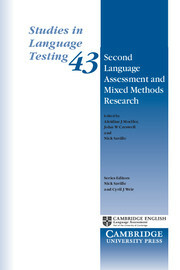 The authors present a discussion of the role of mixed methods design in language assessment, offering practical illustrations of different mixed method designs and decisions to be made in presenting mixed methods research. 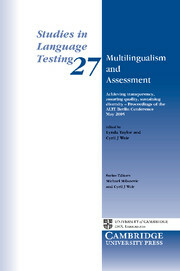 The volume also includes case studies from language assessment on the practical application of mixed methods. The volume explores the impact of multilingualism on language assessment, including setting common standards and sustaining linguistic diversity.